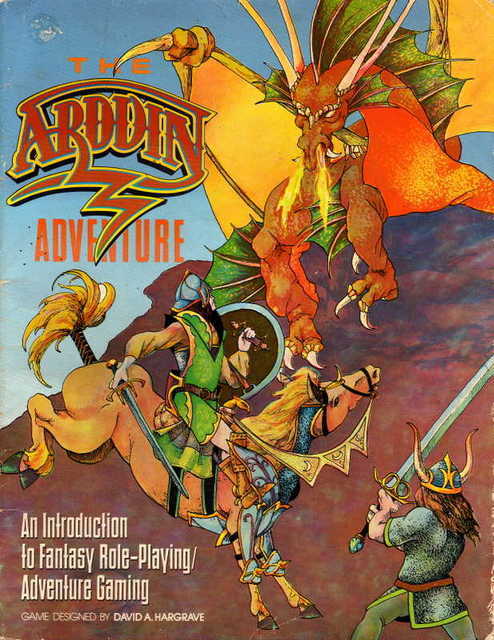 While much has been made of “Appendix N” in the DMG, I haven’t seen too many people discussing the same kind of bibliography presented in David Hargrave’s The Arduin Adventure. I went through his list and was delighted to rediscover many books I remembered from the mid-’70s. 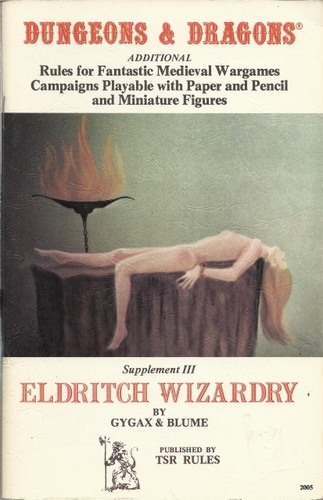 Fantasy wasn’t as omnipresent a genre then – you often had to hunt these titles down. When I came across books like these – collections of folklore with new and whimsical art, coffee table-sized books of classic science fiction magazine illustrations – I remembered them vividly, even when I couldn’t afford to buy the books with what little my allowance and/or paper route money allowed me to spend. 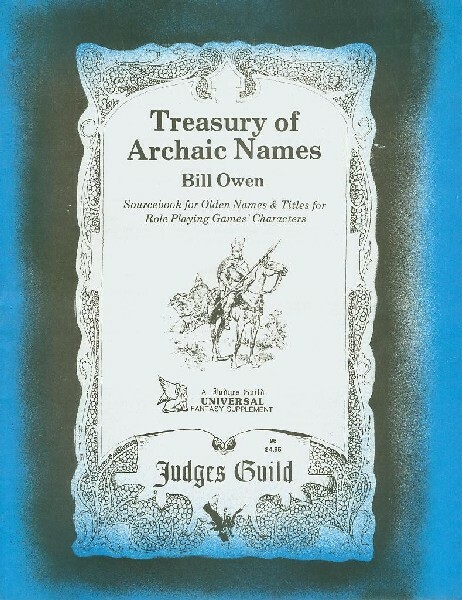 Hargrave’s bibliography, strikingly enough, differs from the material offered by Gygax in that he doesn’t suggest any fiction or novels at all. Instead, the books he lists are either non fiction or collections of suggestive art and illustrations. 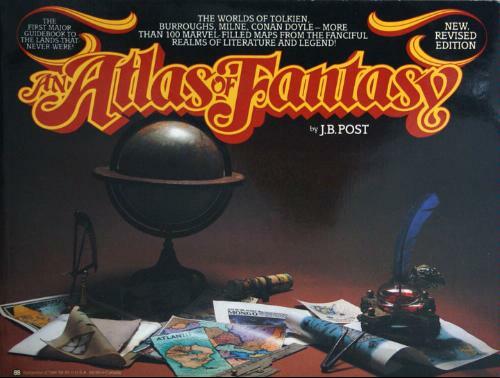 One such book on the list is Jeremiah Benjamin Post’s An Atlas of Fantasy. I always wanted this book as a kid and I inspected it frequently, and longingly, when I found it for sale. Hargrave’s mention of this text inspired me to finally order a copy and it was just as delightful as I recalled. 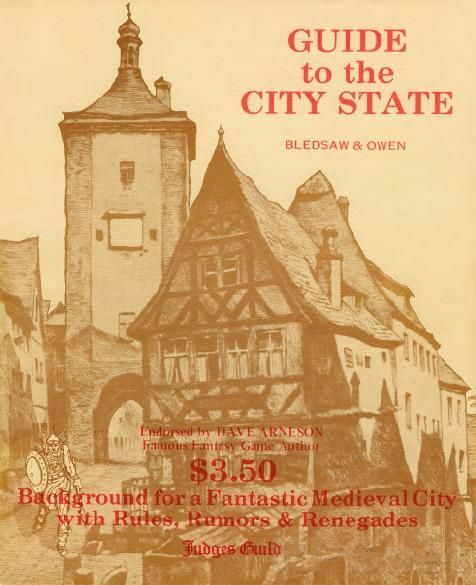 Post reprints a whole slew of maps from fantasy novels – the kind of guides and layouts that could be counted on to appear at the beginning of all the best books from that period. Middle Earth, Narnia, Oz, Prydain – the classics and the canon are not neglected. 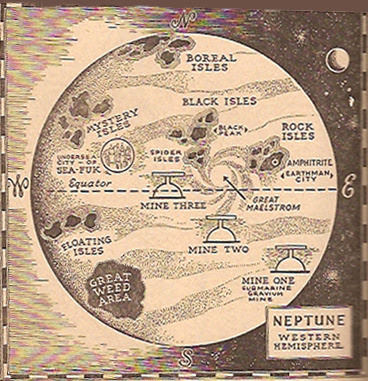 But Post went further afield and presents some really weird little gems – maps from books you never heard or had forgotten existed. 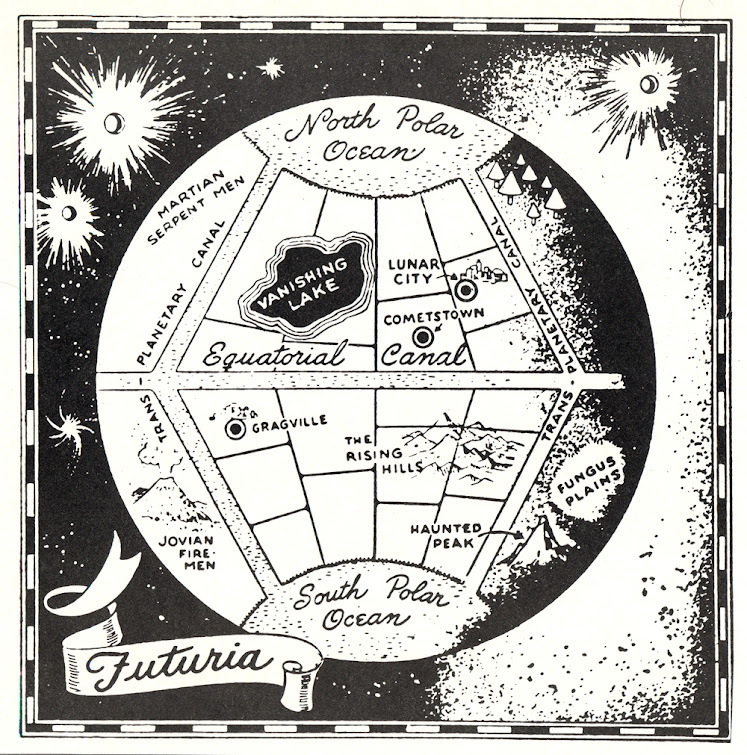 My favorite set, and some of the maps I recalled most vividly, were of the planets from Edmond Hamilton’s “Captain Future” series of pulp novels. I have to say that the crude little maps themselves, as silly as they are, still have the power to zap my imagination. I can’t look at them without picturing what entire OD&D campaigns set on them would be like. I picture it as a kind of deserted, yet still gonzo, decayed environment – J. G. Ballard’s vistas of drained swimming pools meets Salvador Dali meet the Brothers Hildebrandt. 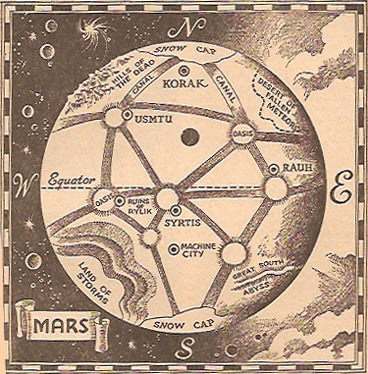 It’s a whole planet with obvious references to the remnant technology in James Ward’s Metamorphosis Alpha. 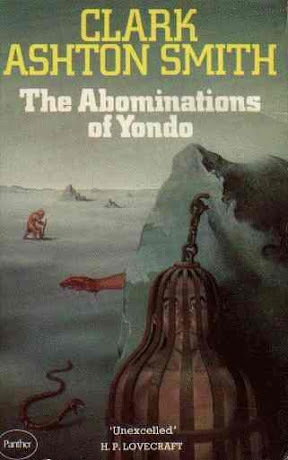 What began as an effort to create a powerful and lofty technological paradise, a utopia of sorts, it has crumbled into a bestial and frightening environment filled with wonder, horrors, and peril. There’s a lot here to play with, obviously, and like the best of Hargrave’s own writing a quick perusal of this ridiculous map provides an astonishing number of adventure hooks and ideas. What monsters creep through the “fungus plains”? Start making up the encounter tables! What’s going on at the summit of the “haunted peak”? Start drawing the caverns! There are ruined cities to explore – as well as hideously deformed and depraved races of “serpent men” and “fire men.” Build those stat blocks! It’s not hard for me to start pulling together elements from Hargrave’s own supplements to help bring this “planet” to life. I loved seeing the books on the list in the back of The Arduin Adventure. 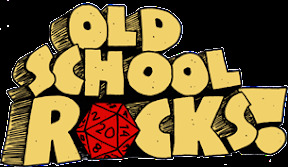 On the one hand, the OSR is about nostalgia for some of us – the kind of world we loved in, or wanted to live in, in the ’70s. But when we rediscover these books, or see them for the first time, we encounter real imaginative possibilities and see forgotten and neglected avenues of expression. The doors that get opened lead to more than just nostalgia, even if they can start there. Great maps! Thanks for posting them. One author blurb for J. Eric Holmes (with the story “Martian Twilight”) mentions that he discovered the pulps through an article about the Captain Future series in the New Yorker in 1940. I have a subscription to that magazine and so I can access their digital archive. The article, by the famed American humorist and Marx Brothers collaborator, S.J. Perelman, is predictably hilarious. I love An Atlas of Fantasy and always wanted to get a copy for myself. Would it infuriate you to learn that apparently there are differences between editions? 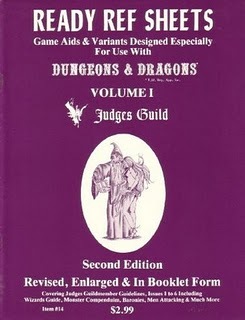 I knew that, but I wanted the edition I use to long for in Waldenbooks (at the now vanished Nanuet Mall) back in 1976.